The first go-to services when it comes to modifying the appearance of websites are sites like userscripts.org or userstyles.org which hosts thousands of different scripts and styles that modify the appearance or functionality of sites on the Internet. But those sites are only helpful if they host a script or style that is offering the modification you are looking for. And while you likely find one for popular sites, you may come up empty handed in certain situations. That’s where the Chrome extension Stylebot might help you out. 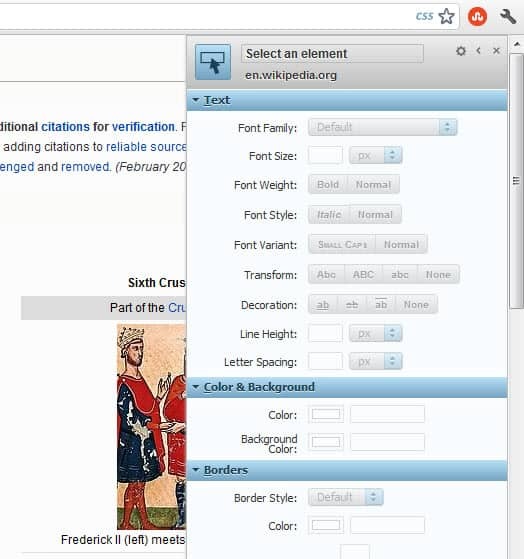 Stylebot offers a basic and advanced editing mode to alter the appearance of a web page. Once you have installed the extension in the web browser, you will notice a new CSS link in the Chrome address bar. A click on the link displays the basic editor in a sidebar overlay. First thing you need to do now is to select an element on the page to modify or remove it. You can use the menu to make changes to a web page’s text, color and background, borders, and layout and visibility. This includes changing the font weight or style, the background color of the page or a page element, or hiding elements on the page so that they do not show up anymore. All changes that you make are permanent on that page. The sidebar menu links to reset buttons which you can use to restore the original style of the page. A click on advanced opens the advanced editor, which lets you add code manually to the selected page element. This is only useful for users who know their CSS though. 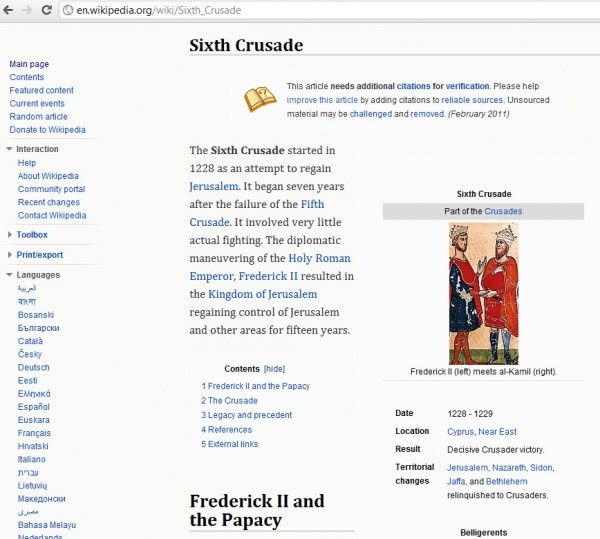 The third option is to edit the CSS of the current page directly. The developers of the Chrome extension have build a website for the extension that is offering user made styles for download. These styles, available for sites like Wikipedia, Gmail, Yahoo Mail or Facebook can be installed with a single click once the Stylebot extension has been installed in the Chrome browser.